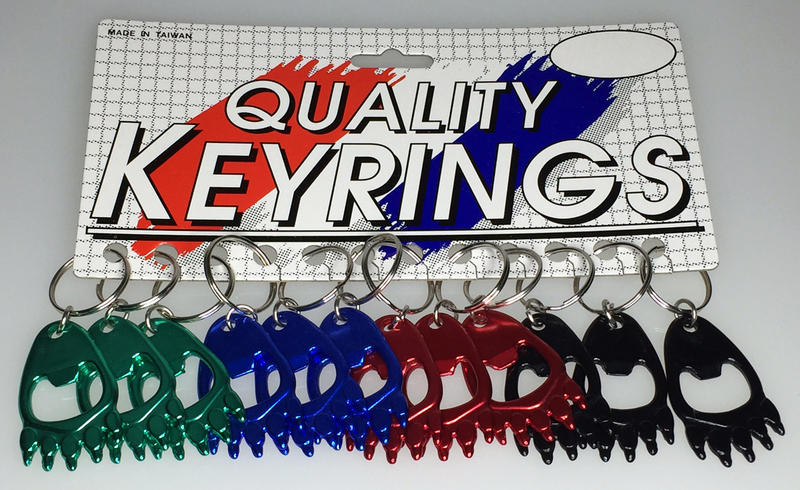 Anodized aluminum BEAR CLAW BOTTLE OPENER w/KEY TAG comes in 4 assorted colors: BLACK, GREEN, RED, and BLUE. They measure about 2 1/4" and are attached to a 1" split ring. Packaging is 12/Card.